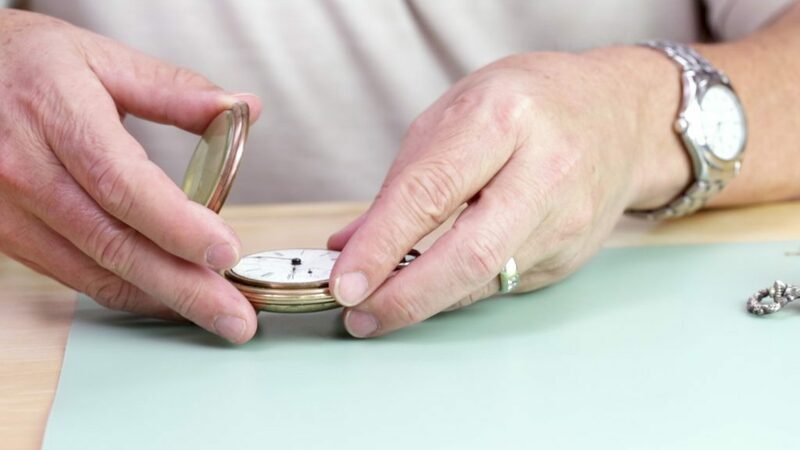 Have an old pocket watch that you would like to restore to its former glory? 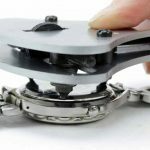 In this post, we will show you how to find the measurement for a round plastic pocket watch crystal, so you know what size to look for if you have to order a replacement. 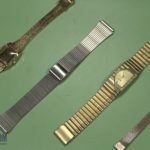 Whether or not you currently have your old crystal, we will show you how to get the right measurement. 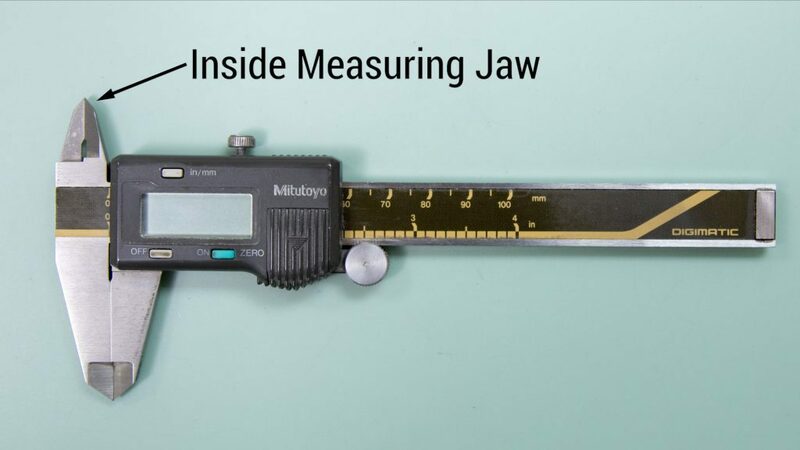 The only tool you will need for this is a caliper that has an inside measuring jaw. 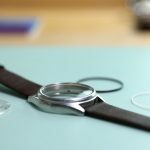 The first thing you will need to do is remove the existing crystal from your watch. 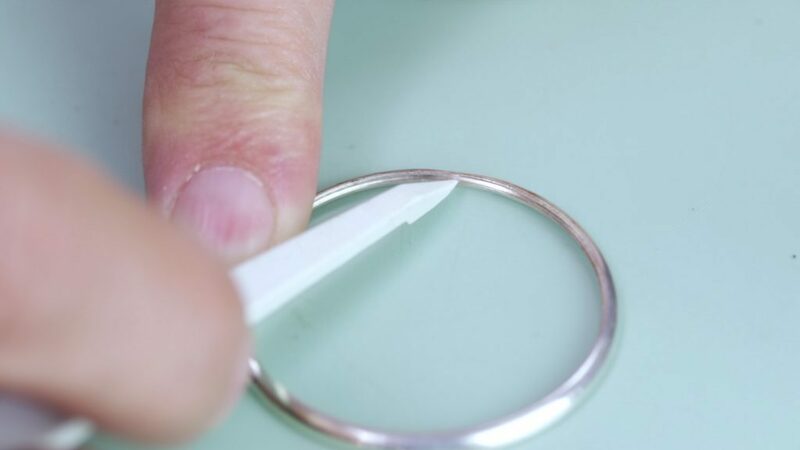 For a step-by-step guide, check out our post on removing watch crystals. 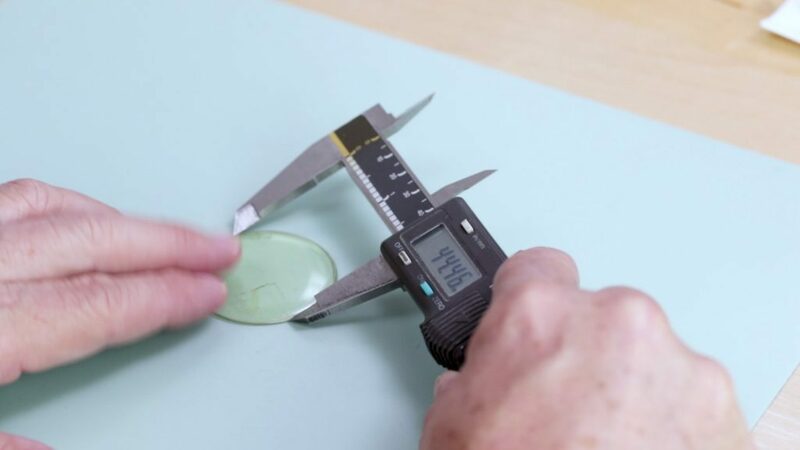 If you already have a crystal on hand, the process is simple: Just measure the diameter of the crystal to obtain the proper size. 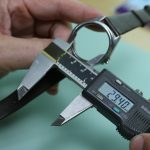 Measure in two to three different places to confirm the size, and round your measurement to the nearest one tenth of a millimeter. 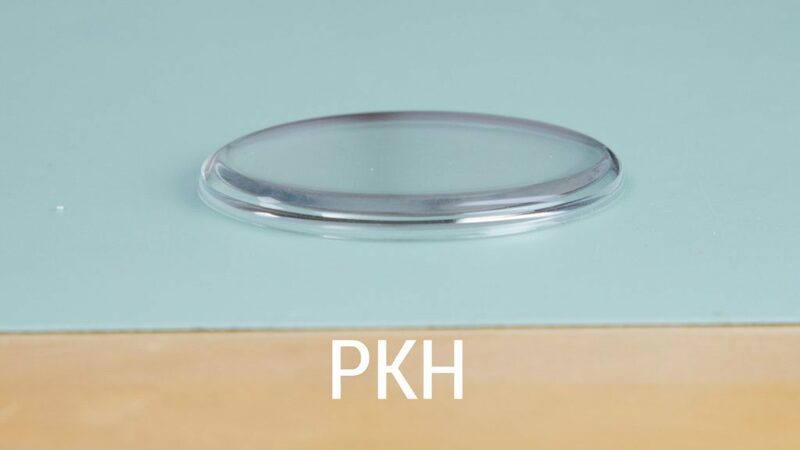 If the crystal is broken or missing, you can measure the inside of the the bezel. 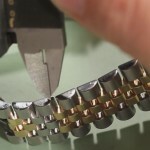 You will need a caliper with inside measuring jaws to do this. 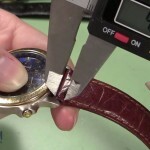 We recommend that you first remove the bezel before measuring to prevent accidental scratches on the dial of the watch. 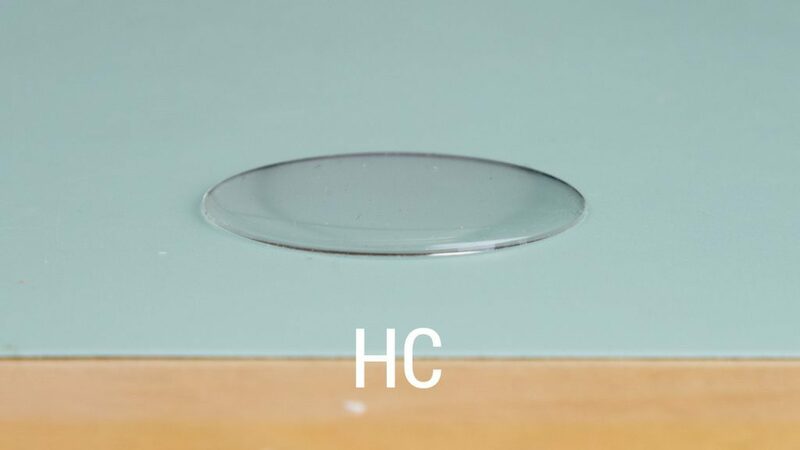 There is a “Step” ledge on the inside of the bezel where the crystal sits. The inside of the wall above this ledge is what you will measure. After you have your diameter measurement, you can now determine the height of the crystal you will need. 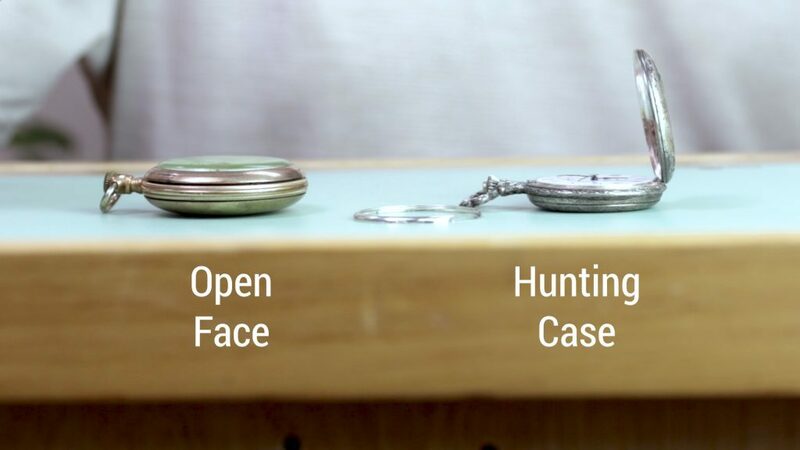 The two types of crystals available correspond to the two different types of pocket watches: “Open Face” and “Hunting Case”. 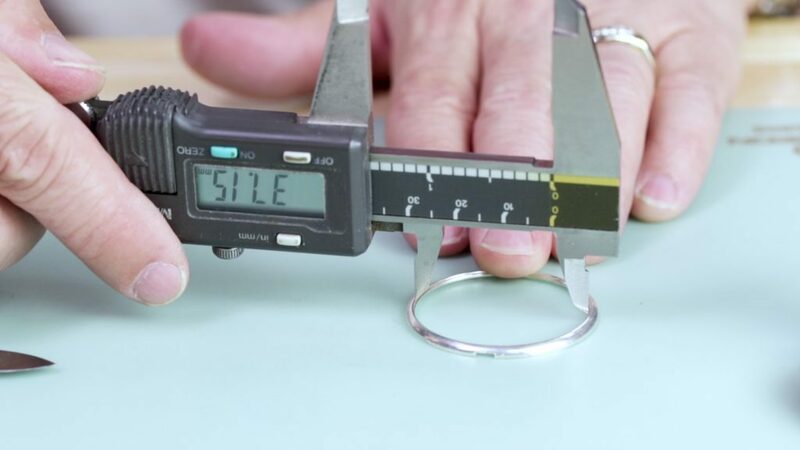 Once you have your measurement and know which style you need, head to Esslinger.com to find the right-sized crystal. 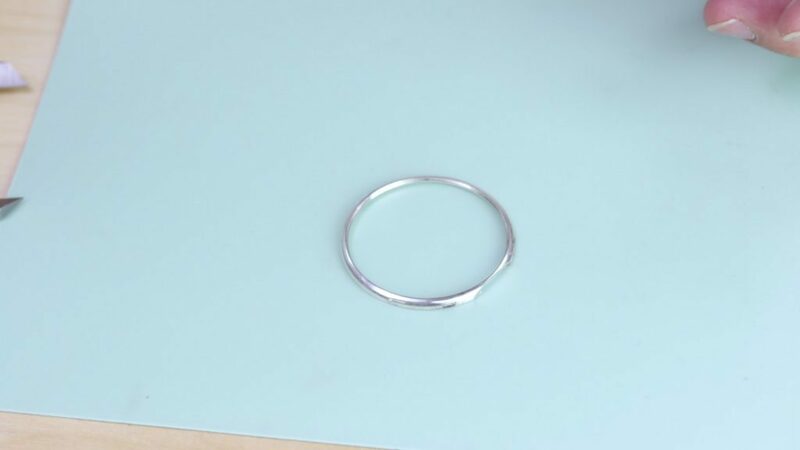 These crystals come in 0.1 mm to 0.3 mm increment sizes depending on the type of crystal, so not every millimeter size is available. 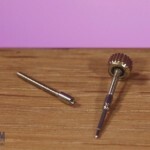 In this case, you can use the next size up knowing that it can be filed down slightly in order to fit. 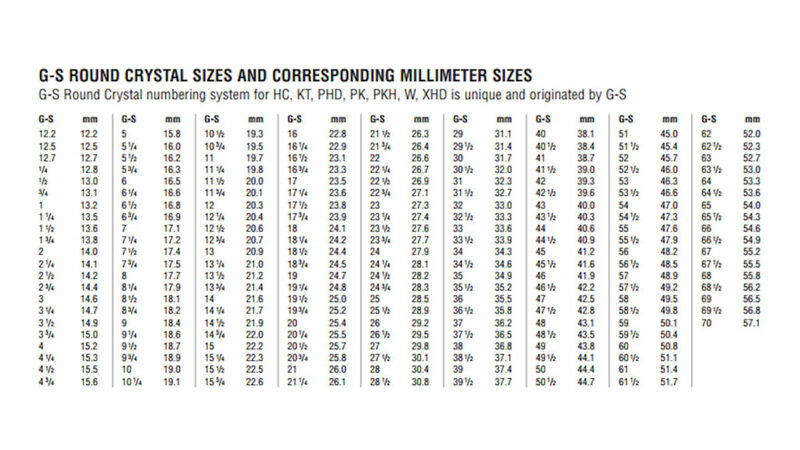 Check out our conversion chart to find which sizes are available. 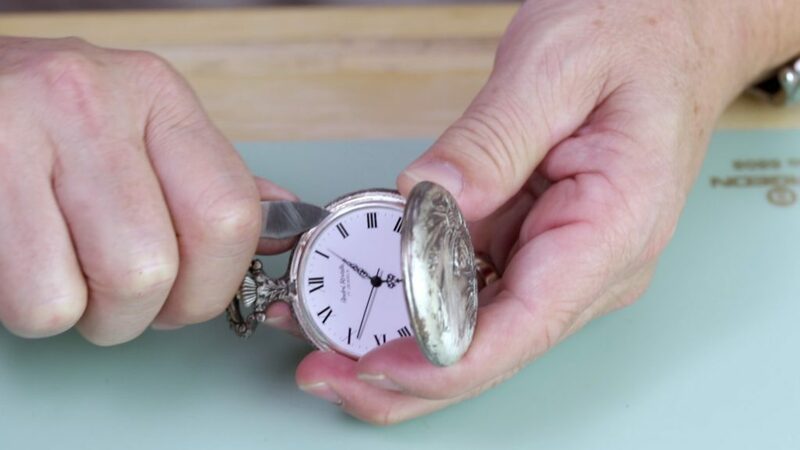 To learn more about watch repair or how to replace your pocket watch crystal, check out other videos on our YouTube channel.